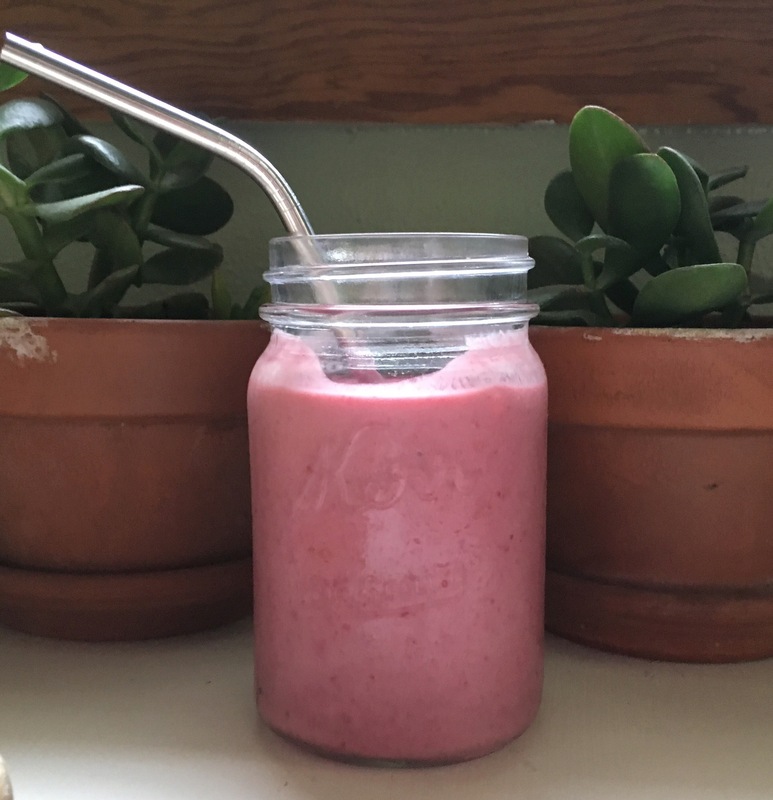 Smoothies are delicious, healthy, and easily portable. I used to make one every morning but fell out of the habit when I became a teacher. In fact, many of my healthier habits have been in hibernation since teaching; I should make more of an effort to bring them back. 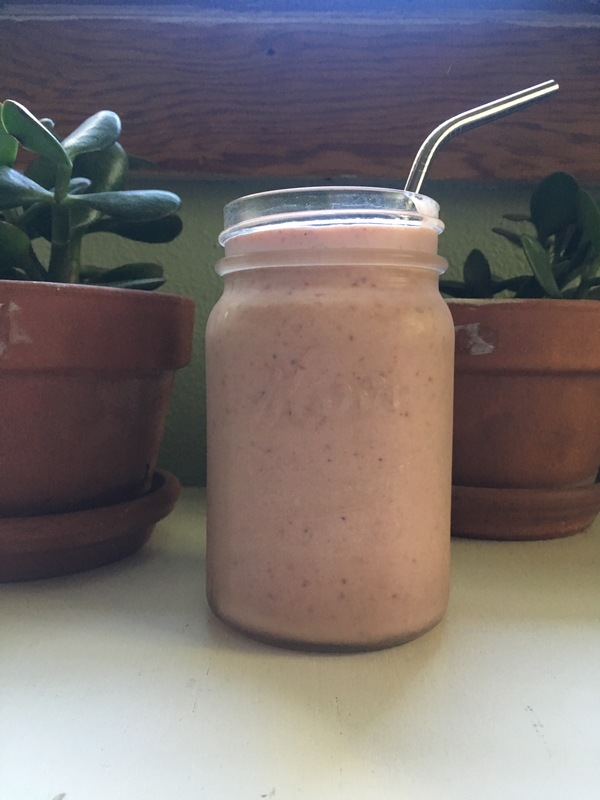 When I have time to enjoy my mornings, I like to make a smoothie and coffee. Luckily I froze a lot of fruit this summer and stored them in glass for future, sustainable smoothies. If I happen to have greens on hand, I’d throw some in, but I rarely have any so I don’t worry about it.